It was only last year that the Academy experienced one of the most exciting Best Picture wins in over a decade. Director Barry Jenkin's Moonlight was a film that undid a long pattern of milquetoast winners dominated by white leads and filmmakers. It was rejuvenating and just what cinema needed in 2016. So, what does Jenkins have in store next? 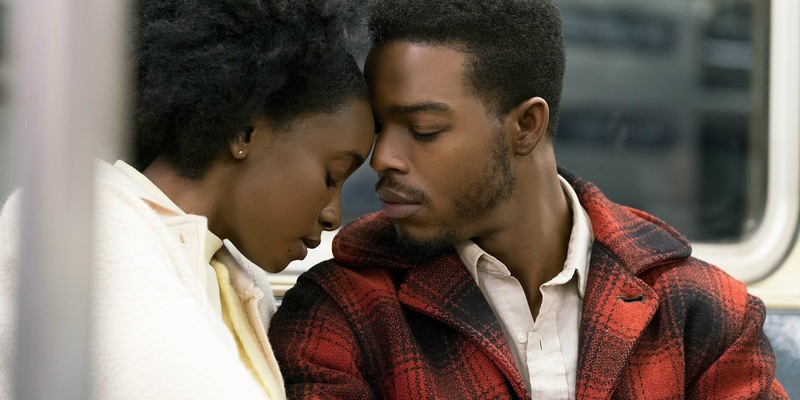 He's returned with another film, based on a James Baldwin story, called If Beale Street Could Talk. With positive reviews swelling ahead of the film festivals, it's already an exciting time to expect another return to Oscar glory. If the teaser, released on Baldwin's birthday, is any indication, this is going to be another great turn for Jenkins and another impeccable cast likely to dominate the season. There's a lot of great symbolism in Moonlight winning Best Picture. For one, it marks a hopeful change for The Academy from an older, more classical type of winner. It was a story of a gay black man discovering his identity over the course of his life. Considering that this was followed by monster movie The Shape of Water winning Best Picture, there's no telling what this year's crop of nominees will look like. Still, Jenkins' win is symbolic of something greater, so it only seems right to anticipate whatever he does next. Hollywood is shifting, and The Academy's more youthful body of voters is making a strong reflection of that. Which is why If Beale Street Could Talk is exciting. Not only is it Jenkin's follow-up to the Best Picture winner, it's also another vibrant story of black youth and their struggle in America. It also has gotten rave reviews from various people who have seen an early print of the film, many believing that the Baldwin text is just as prescient to today as it was when it was published. Considering that the cast has a lot of great actors priming for an acting nomination, it's one of the few sure shots this Oscar season to get attention. Even if it's not as good, it's fun to think of Jenkins going up once again against Damien Chazelle (this time for First Man) and having a similar fiasco happen to the notorious Best Picture mishap of 2017. Considering that it's already August, it's time to start preparing for some serious Oscar conversation to start up again. If Beale Street Could Talk is definitely going to be one to keep a close eye on, especially given the rich source material. Considering that Jenkins previously lead Mahershala Ali to an Oscar win, there's a good chance that there will be plenty of breakout performances again to keep an eye out on. With the world also prodding over racial issues, it may even resonate on an even more personal level. For now, it's got a lot of promise, and here's hoping that this lives up to the acclaim and success of Moonlight.